Burns & McDonnell Battle of the Brains is back for 2019! We’re excited to kick off another cycle of this epic STEM adventure. What’s your big idea for the next Science City exhibit? WHAT IS BATTLE OF THE BRAINS? Inspired by kids, built by Burns & McDonnell. It’s Kansas City’s most exciting K-12 STEM competition — Burns & McDonnell Battle of the Brains. Metro area schools can earn a piece of $155,000-plus in grants for STEM education by dreaming up an exhibit concept for Science City — and one student team sees its idea come to life in a big way! It’s a fantastic, no-cost experience for students and teachers — thinking big, exploring new things, collaborating and having fun. So far, nearly 20,000 students in 55 school districts have benefited from this immersive educational opportunity. Battle of the Brains operates on a two-year cycle: one for competition and one for exhibit build-out. The drive to strengthen communities is the heartbeat of Burns & McDonnell, in our work and with the Burns & McDonnell Foundation. We’ve invested more than $6 million in STEM grant programs because, for us, the opportunity to light a spark for STEM in a kid’s life is pretty amazing. Battle of the Brains is the biggest part of that. 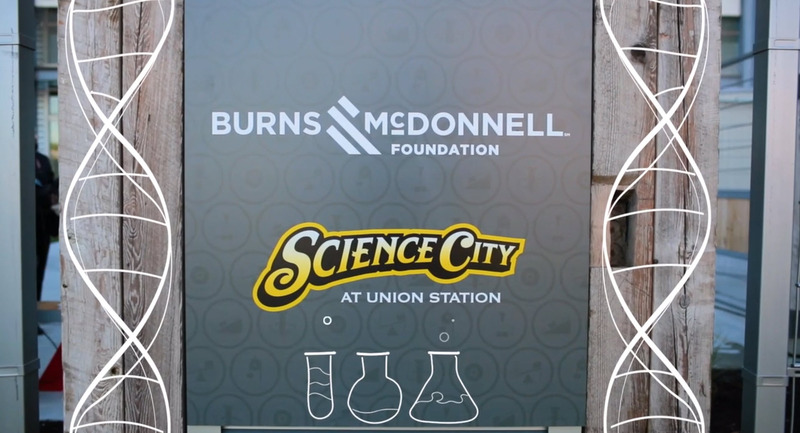 For the employee-owners of Burns & McDonnell and Science City, it’s in our DNA to inspire a passion for STEM in the next generation. Our vision and mission is to encourage these future leaders to push beyond their expectations — to dream big, plan smart and take initiative.